Category Archives for "MEAT GRINDER GUIDES"
If you have got a meat grinder, you must know how to use it and how will you take care of it. Meat grinder guides will help you. Are you the type of cook who likes to make everything from scratch? If so, a meat grinder is absolutely essential for your kitchen. These devices are inexpensive and extremely versatile. We’ll take a look today at the best way to produce fantastic burgers. If you want to know which cuts of meat work best for homemade burgers, you’ve come to the right place. First thing’s first, though. Why should you bother to use a meat grinder? Why Use A Meat Grinder? There are two driving reasons behind most people grinding their own meat: safety and taste. If you choose to grind your own, you retain full control over the ingredients. If you buy pre-ground meat from a butcher, on the other hand, you simply have no idea of where it came from. Freshly ground beef undeniably tastes better, too. You can tweak the fattiness and taste according to your preference. There will no time for it to oxidize so you’ll enjoy a fresh burger precisely as you like it. The difference is like comparing fresh herbs to the freeze-dried alternative… There’s no real comparison to be made. Homemade burgers win out every single time. Let’s look now at 5 different cuts you can use. Experiment with your burgers and see which cuts most tickle your taste buds. When it comes to blends of meat, there’s no right or wrong answer for what works best. It’s very much a matter of personal preference. The ideal is to shoot for around 25% fat. Enlist the help of your butcher if you are not confident gauging this by eye. What are some of the best cuts for your burger? While they are no rules, chuck is generally the basis for burgers. Chuck has a buttery, melt-in-the-mouth taste and texture. It’s an economical cut from inside the upper shoulder area. Chuck has the perfect balance of meat to fat along with a deep, rich flavor. Many burgers are made entirely from this cut so you can’t go wrong with chuck. A mix of 80% chuck to 20% sirloin makes for a mean burger! The sirloin helps to enhance the “beefiness” of the chuck. Blending it in this way is gaining in popularity. Sirloin comes from the back portion of the cow. It’s often used for steaks, many quick-cooking recipes and, in this way combined with chuck, for delicious burgers. There are several different types of sirloin with top sirloin considered superior. This cut comes from the lower chest. Brisket is one of the nine primal cuts. Grinding brisket helps to break down the connective tissue. There is plenty of this. Brisket muscles on a cow include the pectorals. Due to the absence of a collar bone, these muscles support over half the weight of the animal when it’s standing or moving around. The elevated number of fatty acids mean that brisket is perfect to pop in your meat grinder if you’ve got burgers on your mind! If you’re looking to enrich the meaty taste of your burgers, get yourself some round steak. This is found on the rear leg of the animal. Round steak is lean and fairly tough but works well with chuck to make a hearty burger. If you happen to live in Brazil or Argentina, look out for rump cover. This is prized for its high fat content so it works wonderfully with burgers if you are lucky enough to find this particular cut. You’ll often see round steak used to make pies or beef jerky. Why not give it a go in your next burger? To finish up our 5 suggested cuts, consider opting for short rib to complement your chuck steak. This cut is taken from a shortened portion of the rib bone where meat lies over the top. Short rib will add a real richness to your burgers. This is due to the marbling and helps with the fat content needed for mouth-watering burgers. Tip: If you want to boost the fat content further, ask your butcher to throw in some beef trimmings when you are picking up your supplies. Now that you have a nice range of cuts to choose from – and remember, combine each of these with chuck for prime burgers – you need to know how to make them. We’ll look now at some very straightforward instructions and you can be enjoying a home-made burger in less than the time it takes you to head to McDonald’s. The great news is that making your own burgers could not be much easier. Just follow these simple tips and enjoy the magnificent feeling of a home-cooked burger in double-quick time. Buying a meat grinder is a wise investment. Take back control over what you put into your body and enjoy a tastier burger tailored to your desire. Today, the market is glutted with various wonderful tools and appliances that capture people’s attention. These varying sized machines compel customers to hand over their money and gladly make the purchase. One such wonderful and innovative machine is a very helpful kitchen appliance – the electric meat grinder. Before electric meat grinders, people either used manual grinders or bought pre-ground meat from the grocery stores. Now, the problem with manual grinders is that they slow you down immensely. In addition to this, the muscle effort involved is terribly exhausting. If you go for ground meat available in grocery stores, it is an open invitation to various chemicals and nasty additives to damage your health. 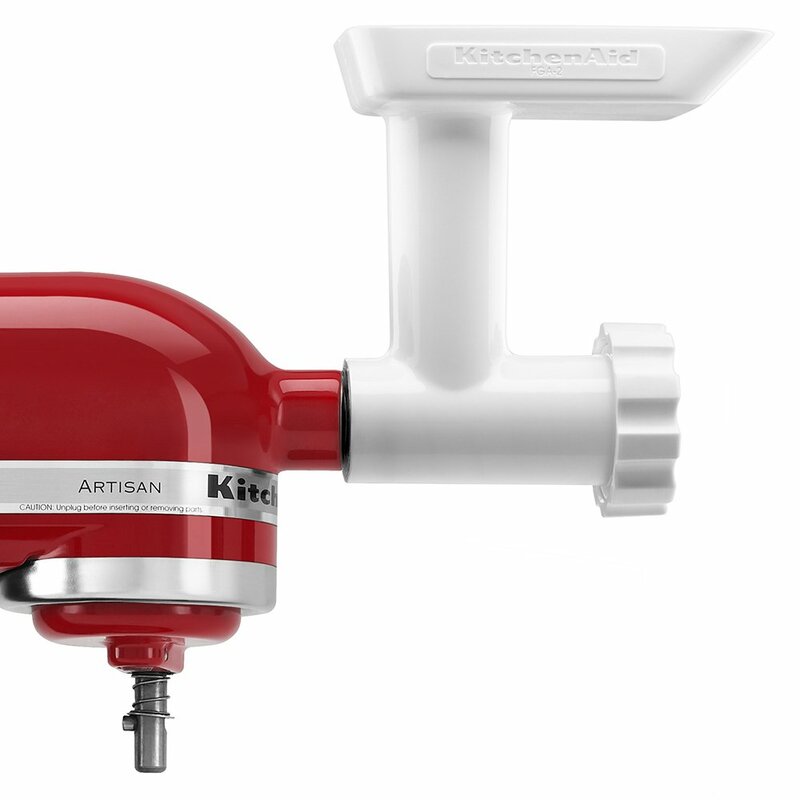 Healthy and tasty food preparation has never been easier since the advent of the meat grinder. You can cook a lot of new recipes at home while not longer needing to be concerned about the hygiene level of meat you buy from the market. A meat grinder cuts down on your constant trips to the store for the sake of buying and also reduces the price you pay. You can control the thickness and texture of meat. Since there are many advantages of using meat grinders, you should take really good care of this amazing electric machine when it comes down to maintenance. While using meat grinders, some issues may arise that affect performance. Some basic problems aren’t that critical and you can easily trace and get rid of them. You don’t need expert technicians for repairing your meat grinder. The grinders on the market today either use the rechargeable battery pack as a power source or you plug them into the main supply. If the grinder being used doesn’t turn on, check the power supply. Once you plug in the grinder, make sure that the cord isn’t damaged. Also, check the outlet to which it is connected. If the meat grinder has a rechargeable battery pack, you should check whether the battery is fully charged or not. This can be done by buying a supplementary battery pack for an electronic machine. One of the major causes of user dissatisfaction is the friction they encounter while using the meat grinder. Grinding unfrozen meat is very messy. To eliminate this problem, all that is required is to put the meat in the freezer for thirty minutes. Wait and grind! Some users experience a little drying of the meat while they grind it. If you add oil or some natural fat to the meat grinder you can easily avoid this issue. The electric meat grinder is one of the most important appliances that you could have in your kitchen. If you are health conscious and want to prepare tasty food for your family without nasty additives and chemicals, this tool will help you out. During its lifespan, some problems may arise and affect its performance and efficiency. Some of these issues aren’t critical in nature so you don’t have to go running straight to a technician. You can take care of such minor problems by yourself. 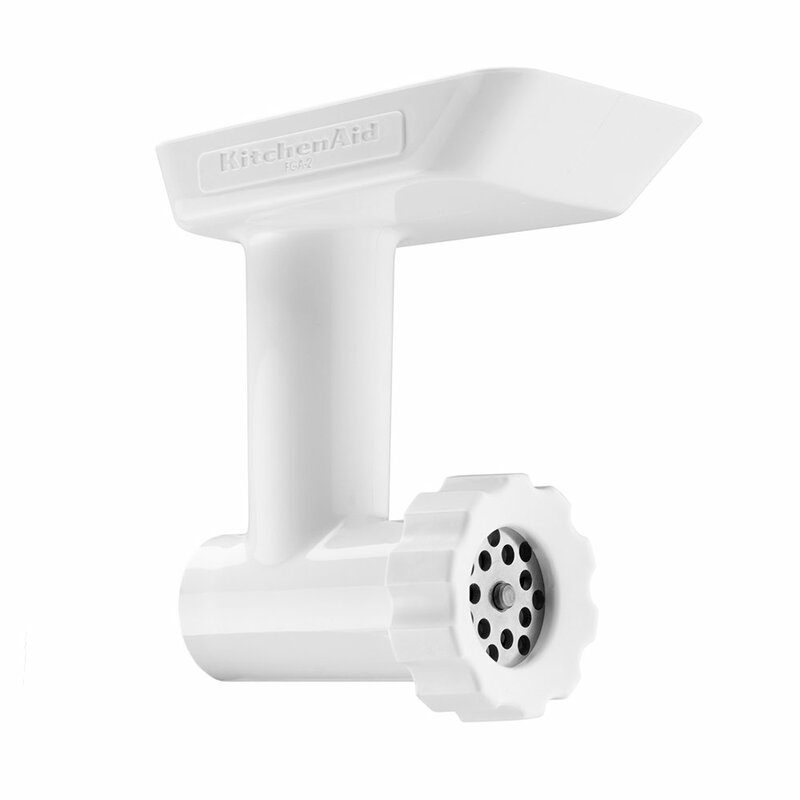 Invest in a meat grinder and don’t hesitate to contact us if you have any questions. If you think that making sausage is only for professionals then you are wrong. Making sausages is an easy job and anybody can do it. There are some basic requirements you will need to arrange and the most basic thing is a meat grinder that can deal with your meat perfectly. 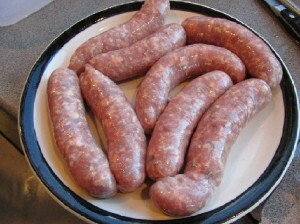 If you are a meat lover then the idea of making your own sausages is intriguing. By making sausages using a meat grinder you are not just controlling the flavor but also helping yourself towards a healthy diet full of vital fats and nutrients. Sausages contain meat, condiments and fat which means you are going to add flavor and healthy ingredients to your diet. Follow these step by step instructions and enjoy great taste with full texture. Make Sausages Using A Meat Grinder: Are You Ready? Long ago, people used to go to a butcher to have their meat ground up. There were two choices at that time: grinding meat by hand at home or buying it pre-ground from a butcher. It’s hard to determine whether butchers are grinding meat in a clean and safe environment and what ingredients are going to be part of your meat? All these things were hidden from the customer. That ground meat could be full of bacteria and chemicals. Grinding meat yourself removes these issues. Once meat grinders and then electric meat grinders came onto the market, people released a sigh of relief. Over time, the meat grinder industry introduced a huge variety of products with various features, accessories and different qualities to help you prepare your meat in your own kitchen. Now you can rack up a wide range of healthy dishes with your own hands and these meat grinders will save your precious time. Here are 5 top meat grinder ideas to make recipes with your meat grinder in no time. Make these healthy recipes in a clean environment and add flavor according to your choice and taste with your own best meat grinder.